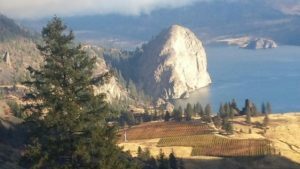 News from Lake Roosevelt Wine Company! They will be celebrating the Grand Re-opening of the Wilbur Tasting Room with The Great Whitestone Wine Sale and Tasting Event on March 10&11, 2018 from noon to 5pm. Our 2014 Merlot continues our vineyard’s tradition of producing some of the best Merlot wine in the entire state of Washington and the world … it received a Silver Medal at the San Francisco Wine Competition, the largest competition of American Wines in the World. This year there were 6,850 wines entered into the competition. In the under $40 categories for Merlot wine, 214 Merlot wines received medals. 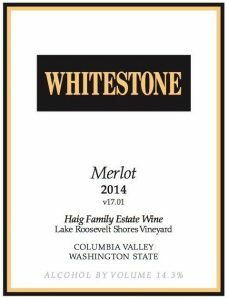 Of this total, only 13 Washington State Merlot wines received medals … only four received golds. Our 2014 Merlot received the SILVER MEDAL.